Color image from LLNL Computer Museum . 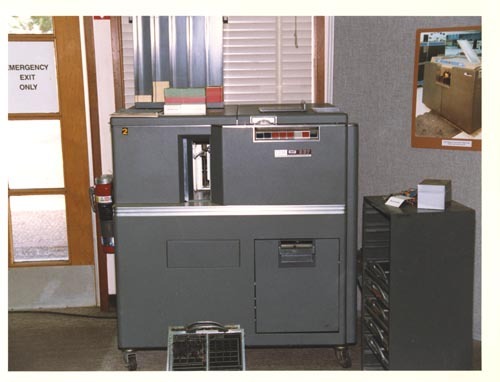 Center of image has an IBM 557 Alphabetic Interpreter. In front of machine on floor are two control panels. To the right is a cabinet to hold the control panels. On the right wall is a picture of an IBM 1402 Card Read Punch. On top of the 557 are several card decks and to the rear is a card holder. On the left is the emergency door.